Sunday Night Slow Jams with R Dub! 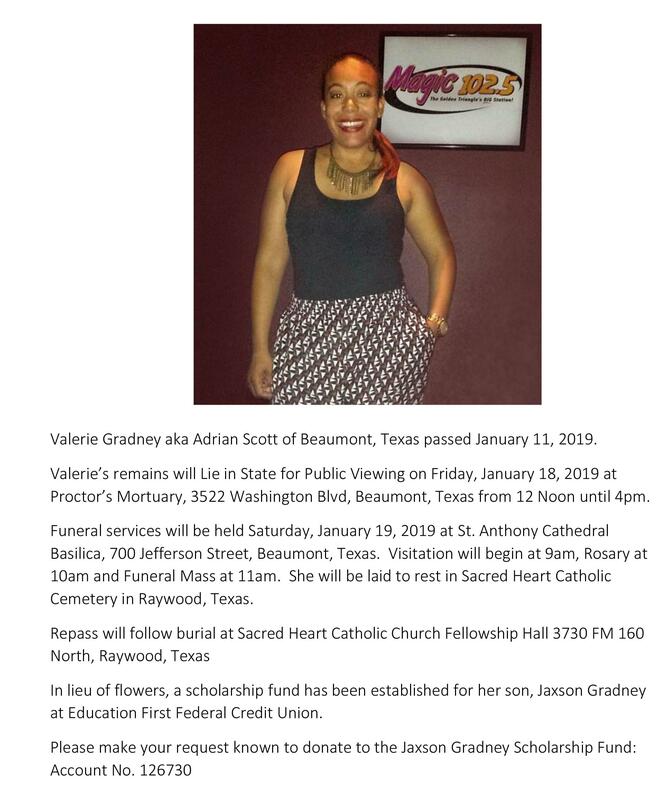 The Magic 102.5 family is very shocked and saddened by the passing of Adrian Scott. We will share information as details are made available. Please keep the Scott family in your prayers. Adrian Scott has had a love affair with music since the beginning. While attending Lamar University, Adrian got a chance to merge her love for communication and music together. The union has been unbreakable now over 14 years. She has been a driving force on-air, and as the Program Director of KTCX-FM Magic 102.5. Adrian has built strong ties in the community, and doing her part in uplifting and entertaining. You can listen to Adrian Scott from 12p-5p every weekday, with great features like the All-Request Throwback Lunch, Gossip to Go w/ Flo, and the Birthday Roll Call. taking you through your weekday Afternoons from 12p-5p. Words to Live By: You should always try to guide by your own behavior, and commit to always be a good example!